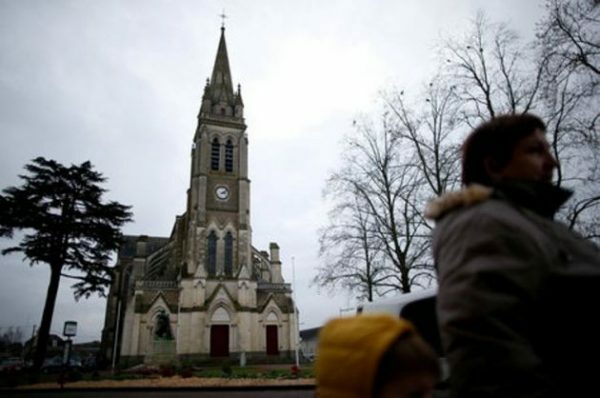 (REUTERS / Stephane Mahe) A view shows the Notre-Dame church in Sable-sur-Sarthe, western France, January 31, 2017. Europe must be willing to communicate with people from different religions and go back to its Christian roots to allow peace to reign in the continent, according to Catholic and Orthodox leaders. During the 5th European Catholic-Orthodox Forum in Paris last month, 12 members of the Council of European Bishops’ Conferences and 12 representatives from the Orthodox Churches in Europe gathered to talk about the threat of terrorism and the value of religious freedom. The faith leaders released a joint statement calling on Europeans to return to their Christian roots amid the existing efforts of various groups to push religion out of the public square, Catholic News Agency relays. More than ever, Europe needs to get a hold of the faith and hope that can only be found in Jesus Christ, the faith leaders added. They pointed to the Christian faith as the “marker of identity” that upholds human rights and works for the common good. The Catholic and Orthodox leaders noted that radical terrorists are often troubled young people who use violence as an avenue to express their feelings and as a way to inflict violence on upon those they label as “infidels.” In light of this thought, the faith leaders called on young people to adhere to inclusiveness. Moreover, the faith leaders’ statement highlighted the effect of secularism on Europe’s youth. They said this concept has plunged “entire generations” into religious illiteracy, which in turn gives birth to discrimination and persecution. There are concerns that the ongoing refugee crisis and the influx of migrants into Europe could threaten the continent’s Christian identity. However, Pope Francis said last month that immigrants are not the real threat to Europe’s Christian culture but they present people an opportunity for growth, Crux reports. Amid the fear of Europe potentially losing its Christian identity, the pope said immigration does not present a danger when the newcomers are welcomed and integrated well into the society. He also said the ideal solution to the perceived problem is to get rid of wars and hunger.